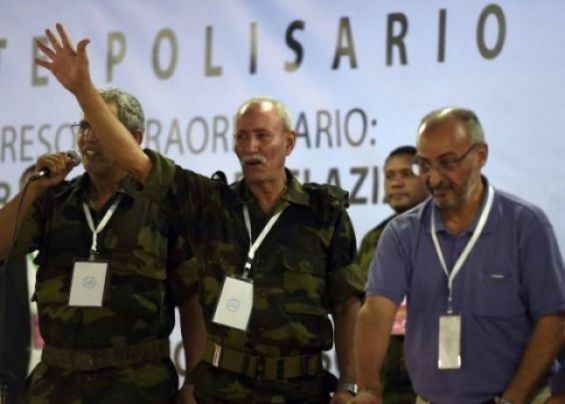 On Friday, February the 1st, the headquarters of the Polisario’s «mission» in Algiers hosted an extraordinary activity. «Three senior officials from the Polisario Front, namely Khatri Addouh, Mohamed El Ouali Akeik and Bashir Mustapha Sayed, visited the facility», a well-informed source told Yabiladi on Tuesday. The meeting held in Algiers was scheduled to end tension between the Rguibates and Teknas tribes. «In the recent months, problems between Sayed and Akeik escalated. The latter accuses the brother of the Polisario’s founder of trying to take his place and marginalize him», the same source reported. These differences, quickly, escalated to the point that the problem is now involving two major tribes in the Tindouf camps. In fact, the Front’s leader Brahim Ghali and Mustapha Sayed, the Front’s «Minister of occupied territories» belong to the Rguibates tribe while Ouali Akeik is a descendant of the Teknas tribe. Fearing that these tensions would affect the situation in the camps, Algeria invited the two parties to attend an urgent meeting to settle the problem. This meeting comes after senior officials in the Tindouf camps were accused of corruption. Expecting the worst, an Algerian general was mandated to play the role of a mediator, listening to Akeik’s accusations in order to reach a compromise. «Overall, the meeting ended with the promise of responding to the complaints of the Teknas tribe», the same source said. «The Algerian official promised to try to convince Brahim Ghali into granting members of the Teknas tribe positions in the Polisario leadership». For the record, the UN Personal Envoy for Western Sahara Horst Köhler is expected to tour the region in the upcoming days to prepare for the second round of the «round-table», which will be attended by Algeria, Morocco, the Polisario and Mauritania. Algerian generals are often asked to resolve the differences between members of the Polisario Front. In February 2017, a retired general led a mediation between Brahim Ghali and his opponent Mohamed Lamine Ould El Bouhali, who held the position of «Defense Minister» for the Polisario.